We will beat any other Volkswagen Deal in BC! That’s right, if we can’t beat your bonafide deal on a new Volkswagen you walk away with a $500 Gas Card. It’s the Maple Ridge Volkswagen guarantee. Huge savings available now on all in stock 2019 vehicles. We have a great selection of new Volkswagen’s to choose from. 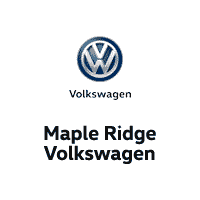 Maple Ridge Volkswagen, where Volkswagen’s are more affordable than you think. Fill out the form below to be one step closer to driving your new Volkswagen. Book your test drive today! Customers must provide proof of a signed bonafide offer to purchase a new Volkswagen vehicle in the form of a current offer to purchase sheet from a qualified employee at any Volkswagen dealership in BC only for a brand new Volkswagen vehicle that includes the valid VIN#. Offers from Chilliwack VW, Abbotsford VW and Mapleridge VW do not qualify. Offers via text messages and emails do not qualify. Mapleridge VW will offer a lower price in response to a bonafide offer on an identical vehicle. All dealer rebates, discounts, and factory incentives must be effective at time of purchase. Prices do not include taxes or documentation fee of [$697]. Offers must be presented during the program period and do not include prior purchases. 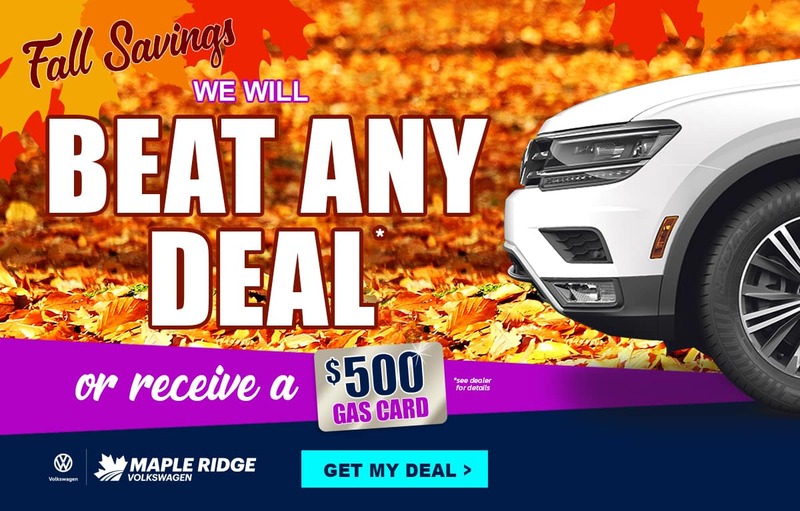 If Mapleridge VW cannot beat the presented offer, and the customer does not purchase a new vehicle, the customer who presented the offer will receive a gas gift card valued at $500. One gas card per household. The gas card has no cash value and cannot be substituted or transferred. Verification of a bonafide offer will be at the sole discretion of the dealerships. All offers begin August 1, 2018 and end October 31st, 2018 at close of business. Dealer can change or end the program without notice.